Yongjun Kim (1904-1967), an artist of Oriental painting, a critic and art historian of Korean Painting, was born in Seonsan, Korea. 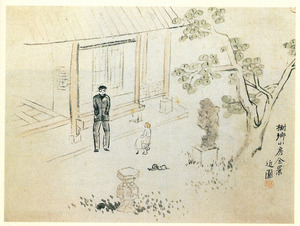 He graduated from Kyungsung High School and studied the Western Painting in Tokyo University of Arts, Tokyo. After graduating the university, he came back to Korea and taught the art history in the high schools in Seoul. Later, he became a Eastern Painting professor at Seoul National University and also taught Art History in the Department of History at Dongguk University, Seoul. In October, 1950, he defected to North Korea and became a professor at Pyeongyang University of Arts, as the chairman of subcommittee of Joseon Art for Joseon Artist Alliance and researcher at Archeology Research Center. 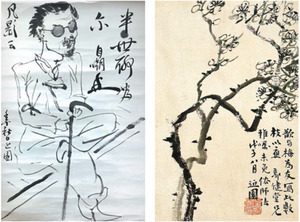 Kim published his collection of essays titled Geunwon's Essays(1948) and An Investigation of Goguryeo Mural Painting(1958) and presented various dissertations regarding art critique and history.